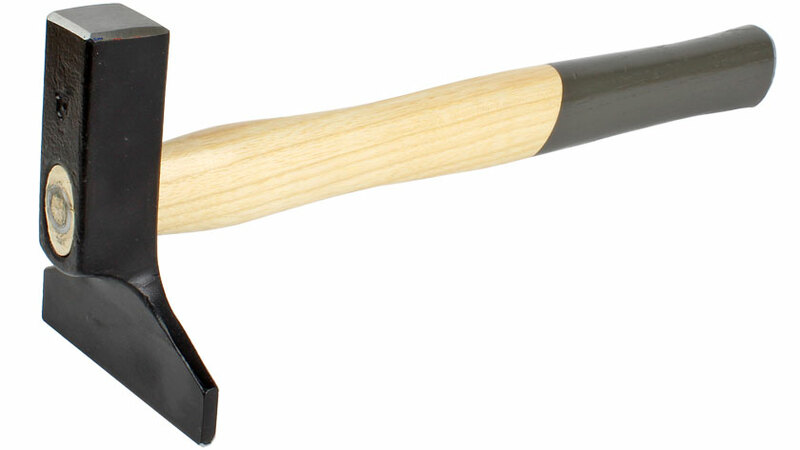 Rumored to have gone the way of the dinosaurs, the veneer hammer is in fact still with us. Formerly no cabinet maker’s shop could be found without one, but today they are hard to come by. This is a mistake, as for certain jobs, reaming out corners, for instance, or regluing veneers while restoring antique furniture, the hammer will save a lot of time and effort. And this one is a very fine tool from the very fine tool smithy Picard. When laying veneer, it sometimes happens that there are spots where the veneer did not stick properly because there was not enough glue or because of an unnoticed depression in the surface. These blisters can usually be seen, or sometimes found by tapping with one’s knuckle over the veneered surface. If you used hot glue for the job, you are in luck. Dampen the area, make a small cut with the grain with a very sharp knife, inject a little glue into the spot, and then press the spot with a heated veneer hammer. The problem will soon be fixed. 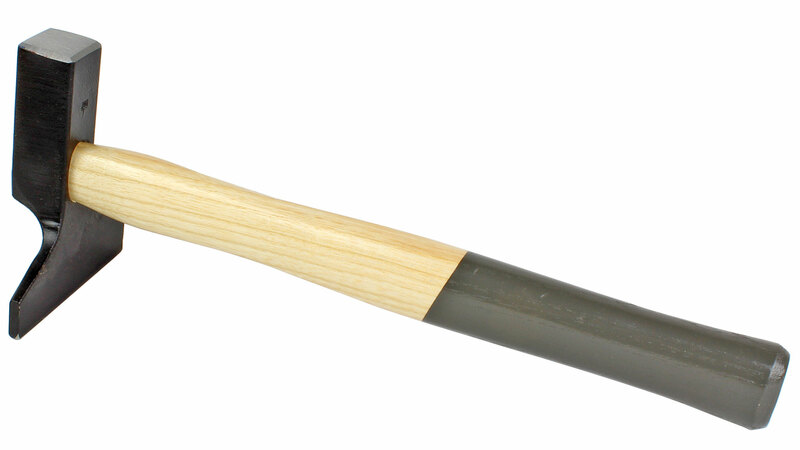 Over and above that, the wide flattened head of the hammer can be used to lay pieces of veneer. One simply brushes on the glue, presses the veneer into place, and then you rub the piece of veneer with the edge of the head, pressing lightly, until the glue takes hold. It should go without saying that to do this, the edge must remain absolutely flat and smooth, and so the hammer must be stored carefully, and used only for veneering. The veneer hammer dates to a time when hot glues, usually bone glues, were used for the purpose. Today bone glues are still used where one wants the repairs to be reversible so that the object is not permanently changed or damaged. This is often the case in furniture restoration. But the old techniques are also often very useful and should be considered when doing one-off furniture projects, as opposed to series production.